Artfully combining the capability of an off-road vehicle with the precision handling of a sedan, Mercedes-Benz SUVs deliver exceptional safety, luxurious comfort, and legendary craftsmanship. At home in the city, capable when you’re far away from home, and a perfect fit for your active lifestyle — there’s a Mercedes-Benz SUV to suit every type of driver. 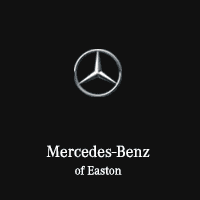 Mercedes-Benz of Easton has assembled this quick comparison which gives you an idea of what each Mercedes-Benz SUV has to offer. Styled to stand out and sized to fit in, the Mercedes-Benz GLA SUV is a premium compact luxury SUV that’s adventurous and adaptable. Engaging driving dynamics, a standard turbocharged 4-cylinder engine, and available 4MATIC® all-wheel drive help make the GLA SUV the perfect companion for your next road trip. For the ultimate in driving thrills, the AMG® GLA 45 delivers 375 horsepower and a sport-tuned suspension for razor sharp handling and response. Regardless of which model you select, you’ll receive standard amenities including an 8-inch high-resolution central screen, **Bluetooth® audio streaming, power liftgate, and power front seats with 3-position memory and lumbar support. Setting the benchmark for a midsize luxury SUV, the Mercedes-Benz GLC SUV provides a spacious yet luxurious interior to complement its elegant exterior style. Available 4MATIC® all-wheel drive gives the GLC SUV the confidence to tackle any road condition. GLC 350e models feature the same standard engine paired with a 85kW plug-in hybrid electric motor resulting in an outstanding 320 horsepower rating. An available AIR BODY CONTROL® suspension has the ability to automatically raise and lower based on performance demands. Standard equipment on the GLC SUV includes 40/20/40 split-folding rear seats, SmartKey remote locking w/KEYLESS-START, rain-sensing windshield wipers, and MB-Tex™ leatherette upholstery. Searching for greater power and capability in a midsize luxury SUV? The Mercedes-Benz GLE SUV delivers premium refinement with generous seating arrangements for five and luxurious accents including ambient interior lighting, Eucalyptus wood trim, and a Nappa leather-wrapped steering wheel. You’ll enjoy a variety of engines to personalize your GLE SUV experience. Choose from a standard 3.5L V6 a turbocharged 3.0L V6 with a hybrid powertrain, and an AMG® turbocharged 5.5L V8 for maximum performance. A maximum towing capacity of 7,200 pounds along with standard Crosswind Assist and Trailer Stability Assist make it effortless to bring along even your largest toys. Eager to lead your family with bold style and capability, the three-row 7-passenger Mercedes-Benz GLS SUV has a commanding presence that’s sure to stand out from the ordinary. You’ll enjoy your choice of three powertrain options including a turbocharged V6, a 4.6L V8, and an AMG®-tuned 5.5L V8. With a towing capacity of up to 7,500 pounds and available 4MATIC® all-wheel drive prove that no challenge is too big for the powerful GLS SUV. Available features include a ***harman/kardon® Logic 7® sound system, 20-inch 10-spoke or twin 5-spoke wheels, and a rear seat entertainment system to help eliminate boredom on extended road trips. Iconic style meets handcrafted luxury and extraordinary off-road capability with the Mercedes-Benz G-Class SUV. It’s 38-year heritage and unmistakable upright shape highlights the outstanding quality that’s engineered into the legendary G-Class SUV. A standard full-time four-wheel drive system with locking front, center, and rear differentials allows you to conquer even the most treacherous terrain. Included as standard on the G-Class SUV are heated/ventilated multicontour front seats, COMAND® system with console-mounted central controller, Burl Walnut wood/leather steering wheel, Bi-Xenon headlamps, and a Sport Exhaust system with dual sidepipes. **Bluetooth® is a registered mark Bluetooth® SIG, Inc.
***harman/kardon® and Logic 7® are registered marks of Harman International Industries, Incorporated.